Lawrence University students may not realize it, but they have cause to celebrate. They will be the primary beneficiaries of a record-setting fundraising year by the college. In the second year of Mark Burstein’s presidency, Lawrence set a one-year fundraising record with $34.7 million for the recently completed 2014-15 fiscal year. The previous high mark, $31.4 million, was established in 2008. As part of the overall fundraising total, the college also broke the record set last year for the Lawrence Fund, the college’s annual giving program, with $3.8 million. More than 62 percent of the record fundraising total was designated for scholarships to support Lawrence’s “Full Speed to Full Need” campaign launched last year. The sole purpose of this focused effort is to provide financial aid to students of limited means. The college since has raised $22.6 million toward the full scholarship fund match. 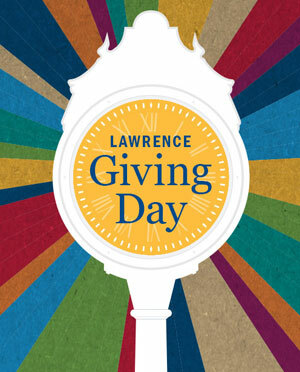 “This record fundraising year is not only a tribute to President Burstein’s clear vision for Lawrence, but also a tribute to the generosity of spirit of those who make up the Lawrence community — students, faculty, staff, administrators, alumni, friends of the college and trustees,” said Susan Stillman Kane ’72, chair of the Lawrence Board of Trustees. Lawrence enjoyed a jump in its alumni donor participation rate (37 percent), the college’s first increase since 2004. 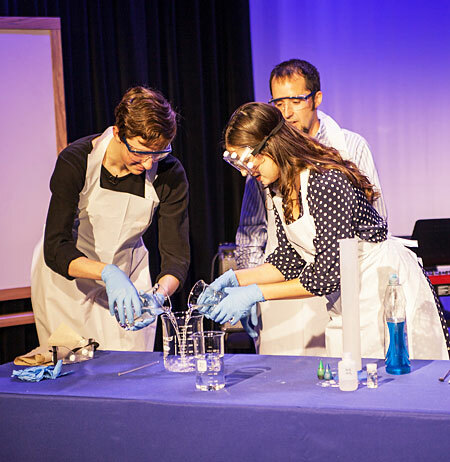 Nationally, private baccalaureate arts and science colleges have seen the average alumni donor participation rate drop every year from 2002-2014. According to the 2014 Voluntary Support of Education Survey, Lawrence’s alumni donor participation rate was nearly four percent above the national average, ranking 46th nationally among 204 peer institutions. The college also saw a small increase in its retention rate, which measures the portion of prior year alumni donors who gave again the following year. At 80.3 percent, it was Lawrence’s second-highest mark since 2004. According to Target Analytics Index of Higher Education, the median retention rate for colleges and universities is 62 percent. In Forbes’ 2015 Grateful Grads Index, which ranks colleges by the median amount of private donations per student over a 10-year period, Lawrence ranked 63rd nationally among all colleges and universities and was the highest ranked among Wisconsin schools. The Lawrence Fund provides close to seven percent of the college’s annual operating budget and helps bridge the gap between what students pay in tuition and actual operating costs. The Lawrence Fund, along with endowment earnings, help reduce each student’s tuition by more than $10,000 per year. 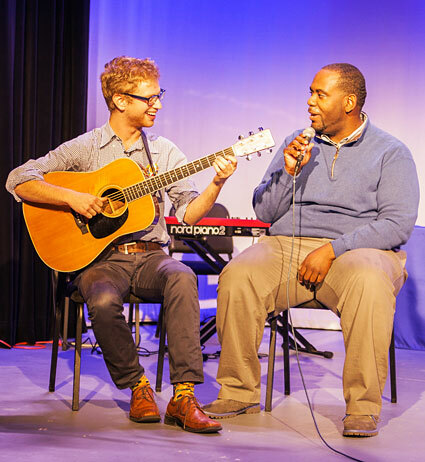 In addition to providing student grants and scholarships, the Lawrence Fund also supports everything from classroom resource and athletic equipment to sheet music for conservatory students. The record-setting fundraising year included another milestone for the college, with membership in the Lawrence-Downer Legacy Circle crossing the 1,000-member threshold. At the end of the 2014-15 fiscal year, membership in the college’s planned giving program jumped by nearly 11 percent over the previous year, growing to 1,016 members. For the third consecutive year, the Lawrence Fund enjoyed 100 percent participation from all 32 members of the Lawrence Board of Trustees as well as all 31 members of the Lawrence University Alumni Association Board of Directors. 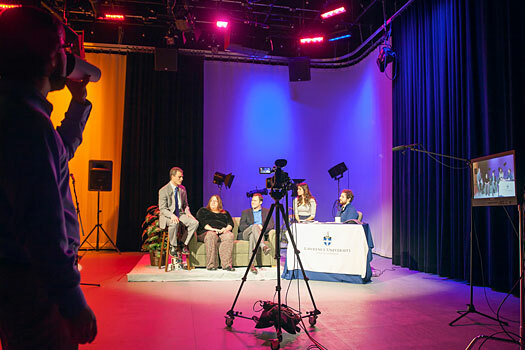 Lawrence University has become a Funding Information Network partner with the Foundation Center of New York and that’s good news for northeast Wisconsin nonprofit organizations and other agencies seeking funding sources. Through a collaboration with the Community Foundation for the Fox Valley Region, United Way Fox Cities and Oshkosh Area United Way, Lawrence will serve as host to a Funding Information Network location, providing free public access to a valuable collection of funding resources for a wide range of area grantseekers in the college’s Seeley G. Mudd Library. As one of only seven Funding Information Network partners in Wisconsin, Lawrence will provide under-resourced and underserved populations that need vital information and training with tools to become successful grantseekers. 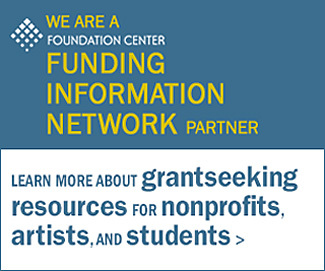 Located nationally and internationally, Funding Information Network partners offer free access to the Foundation Center’s extensive information on grantmakers as well guidance on how to apply for grants. The Center’s core collection of resources includes “Foundation Directory Online,” which profiles more than 110,000 U.S. grantmakers, “Foundation Grants to Individuals Online,” “Philanthropy In/Sight,” print directories and proposal writing guides. These databases and electronic and print resources are available to the general public any time Lawrence’s Seeley G. Mudd Library is open. “The Community Foundation is committed to strengthening nonprofits in our area, so we are happy to be a part of a partnership that gives them access to such a valuable resource,” said Curt Detjen, Community Foundation president and CEO. To launch the Funding Information Network site, Lawrence will hold an informal open house and a series of three free training sessions to assist area grantseekers on how to effectively use the Foundation Center resources and identify potential funders. 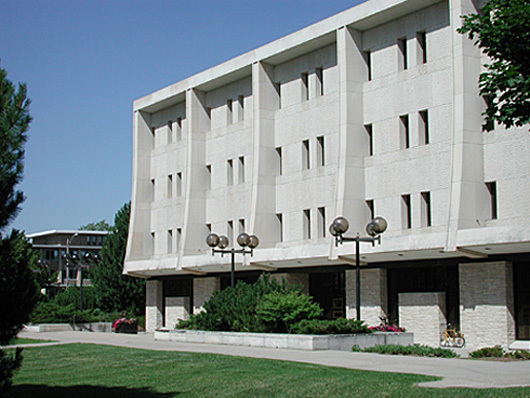 A community open house at Lawrence’s Mudd Library will be held Monday, May 11 from 4-7 p.m. It will include tours of the library, information on library resources available to the public and an introduction to the Funding Information Network resources. Lawrence’s Seeley G. Mudd will be home to an extensive amount of free resource information on grantmakers as well guidance on how to apply for grants. The library also will host a series of training workshops for grantseekers in May (19, 28) and June (6). The workshop will be repeated Thursday, May 28 from 6:30-8 p.m. and again Saturday, June 6 from 10-11:30 a.m. Space is limited at each session and an RSVP is required to reserve a spot. Additional information about the Funding Information Network at Lawrence, library hours, directions, upcoming events and RSVP instructions is available here. Established in 1956, the Foundation Center is the nation’s leading authority on organized philanthropy, serving grantseekers, grantmakers, researchers, policymakers, the media and the general public. 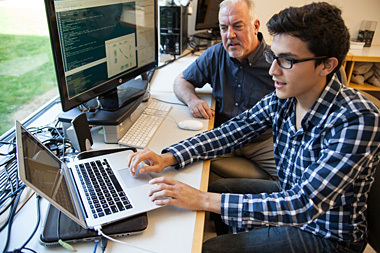 Thousands of people visit the Center’s web site each day and are served in its five regional learning centers and its international partnerships with hundreds of Funding Information Network locations. That’s how Lawrence University President Mark Burstein sees a $25 million anonymous gift the college has received to support student scholarships. The $25 million gift is the largest in Lawrence history and will be used to establish an endowed scholarship to help meet the financial need for future Lawrence students. It is a dollar-for-dollar matching gift that will result in a new $50 million in additional endowment to support scholarships. “A gift this size will truly change lives. We are humbled by the donor’s generosity,” said Burstein. “This gift and subsequent matching support will further enhance Lawrence’s role as a catalyst for social mobility. 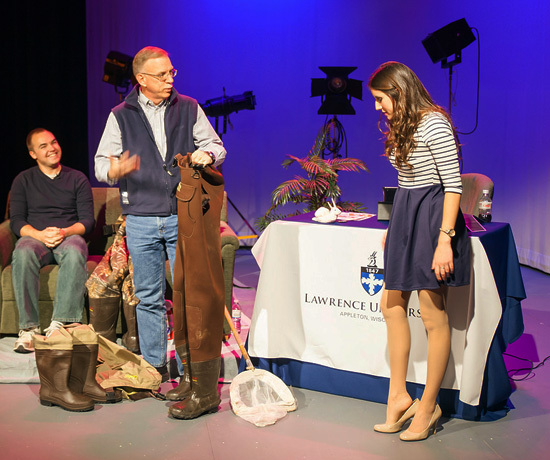 Based on the average financial aid package for the 2014-15 academic year, the endowment draw from this gift will allow Lawrence to offer financial aid awards that meet the full institutionally demonstrated financial need of at least 50 students each year in perpetuity. Since becoming Lawrence’s 16th president in July 2013, Burstein has made affordability a central institutional priority. According to the report’s authors, when children born into the bottom fifth of the United States of the income distribution earn a college degree, their chances of making it to the top fifth of income earners nearly quadruple, and their chances of escaping the bottom income quintile increase by more than 50 percent. While half of all people from high-income families have a bachelor’s degree by age 25, only 1 in 10 people from low-income families do. The record-setting gift comes on the heels of other positive financial news for Lawrence. The college is coming off its best year ever for gifts to its annual giving program — the Lawrence Fund — with an institutional record $3.7 million raised during the 2013-14 fiscal year. 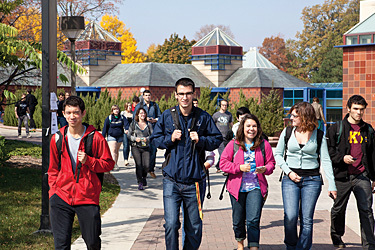 The Lawrence Fund provides nearly 10 percent of the college’s annual operating budget. It helps bridge the gap between what students pay in tuition and actual operating costs and in conjunction with endowment earnings, helps reduce each student’s tuition by more than $10,000 per year. 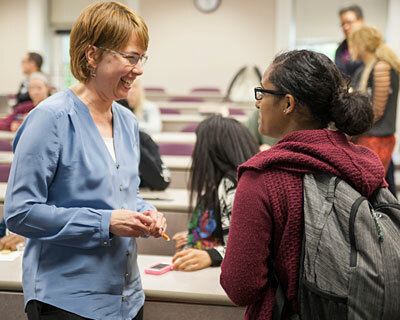 In July, Lawrence announced a $2.5 million gift to expand its current teacher education program to include elementary teacher education certification beginning in the fall of 2015. Earlier this year, Lawrence received a $2.1 million grant from the U.S. Department of Education’s Title III SIP program for a comprehensive program designed to increase the graduation rate of at-risk students. “Collectively these gifts and grants have fueled considerable institutional momentum that will help our students have a positive, productive experience while they’re here and prepare them to succeed in a rapidly changing world,” Burstein said. • Lawrence’s previous largest gift was $16 million in 2006 for the Warch Campus Center. • For the 2014-15 academic year, Lawrence provided $33.4 million in institutional financial aid. • Ninety-six percent of Lawrence students are receiving need and/or merit based financial aid for the 2014-15 academic year. • The average need-based student financial aid package for the current school year is $35,600. • For the current school year, 21 percent of Lawrence students are receiving federal Pell Grants, which are given to undergraduates from low-income families with the highest need. • As for June 30, 2014, Lawrence’s endowment was nearly $250 million and experienced a 16.2 percent investment return over the fiscal year. Lawrence University alumni and friends rewarded first-year President Mark Burstein with a special present — a record-setting fundraising total. 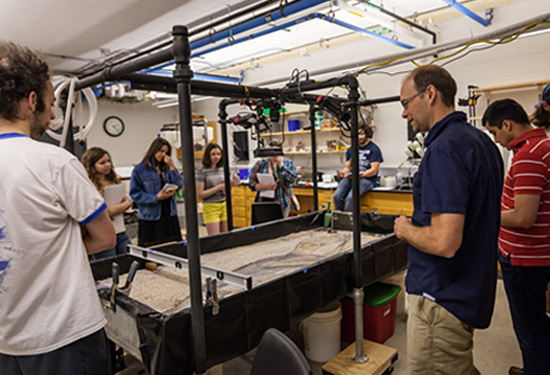 The Lawrence Fund provides essential support for virtually all aspects of a student’s education, including scientific equipment such as this re-circulating flume for the geology department. But the real beneficiaries are Lawrence’s students. For the recently completed 2013-14 fiscal year, the college raised an institutional record $3.7 million for the Lawrence Fund, breaking the previous mark of $3,647,259 set in 2008-09. The Lawrence Fund, the college’s annual giving program, provides close to 10 percent of the annual operating budget and helps bridge the gap between what students pay in tuition and actual operating costs. The Lawrence Fund and endowment earnings help reduce each student’s tuition by more than $10,000 per year, provide much-needed support for everything from scholarships and classroom resources to athletic equipment and sheet music for conservatory students. Lawrence’s overall fundraising for the 2013-14 fiscal year totaled $17,681,384, the sixth-most in school history. “This past fiscal year’s record-setting Lawrence Fund total is testament to our alumni’s loyal support of the college’s mission. I’m humbled by the generosity of the 10,308 individual donors who gave to Lawrence last year,” said Burstein, who marked the end of his inaugural year as president June 30. Earlier this year, Forbes ranked Lawrence highest of any college or university in Wisconsin on its 2014 Grateful Grads Index. Helping the Lawrence Fund establish an institutional all-time high was a record-setting gift of $804,817 by members of the Class of 1964, the most ever by a 50th reunion class. Lawrence also added 90 new members in the past fiscal year to its Legacy Circle, the college’s planned giving program. It was the most new members in a single year since 2000 and raised the program’s total to a record 907 members. For the second year in a row, the Lawrence Fund enjoyed 100 percent participation from all 30 members of the Lawrence Board of Trustees as well as all 35 members of the Lawrence University Alumni Association Board of Directors. Collectively, they contributed a total of $587,986 — nearly 16 percent — to the fund’s overall total. Lawrence University has received a $250,000 gift from the Sentry Insurance Foundation in honor of retiring Sentry Chairman Dale Schuh’s leadership and more than 40-year career with the company. A 1970 Lawrence graduate who earned a bachelor’s degree in mathematics, Schuh also has served on the college’s Board of Trustees since 2008. The $250,000 gift will be used to continue Schuh’s commitment to Lawrence students. 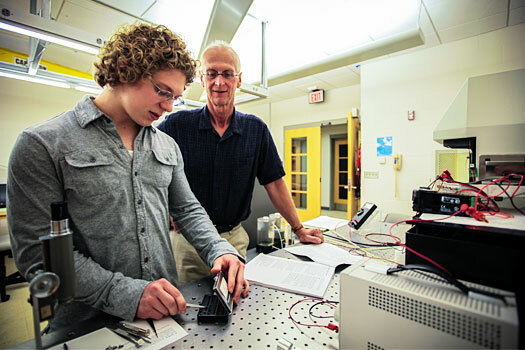 He and his wife, Annette, endowed a scholarship at Lawrence in 2009 that assists students who are the first in their families to attend college. “As a first generation college student, I have a fond spot in my heart for Lawrence University,” Schuh said. Since joining the Board of Trustees, Schuh has served on numerous committees, including recruitment and retention, executive committee and finance committee, which he has chaired since 2011. He also has been active as an admissions volunteer. From 2010-2012, Schuh served as president of Lawrence’s Founders Club, providing extraordinarily important leadership to the college’s most generous donors. Most recently, Schuh served as the chair of a 15-person presidential search committee that led to the selection of Mark Burstein, executive vice president at Princeton University, as Lawrence’s 16th president. Schuh joined Sentry as an actuarial intern while still a student at Lawrence. He became a full-time employee in January, 1972 and spent his entire career with the company. Within eight years of joining Sentry, Schuh was named vice president of corporate planning. He also held the roles of vice president actuarial and control and senior vice president of marketing. Schuh was named president and chief operating officer in 1996 and two years later was elected chief executive officer and chairman of the board of directors. Under Schuh’s leadership, Sentry’s financial strength and position significantly improved. It now holds an A+ financial rating from AM Best Company. The gift to Lawrence was one of two the foundation made in Schuh’s honor. A $50,000 contribution was also presented to United Way of Portage County to kick off the organization’s 2013 campaign.